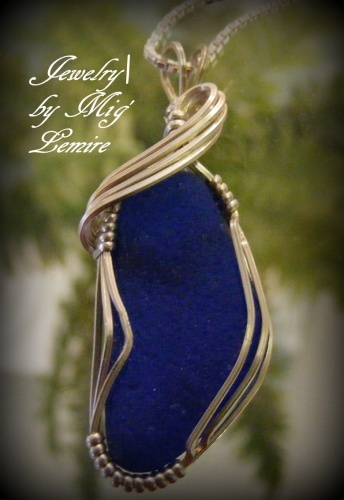 This pretty piece of authentic cobalt seaglass is framed with sterling silver wire to make it just pop with color. Piece measures about 1 1/4" long and " wide. Comes with a sterling silver chain.